A kitchen is a room where you cook or prepare meals, and wash dishes. 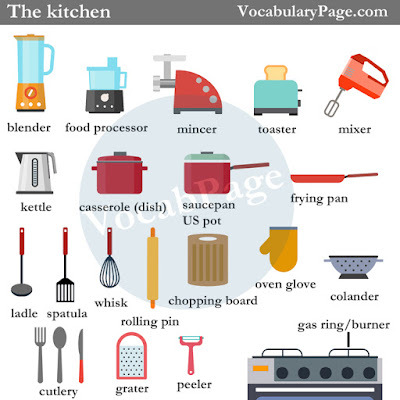 Here is the list of things in the kitchen with definitions and example sentences. I used a blender to purée the strawberries. Rinse the mushrooms in a colander under running water. 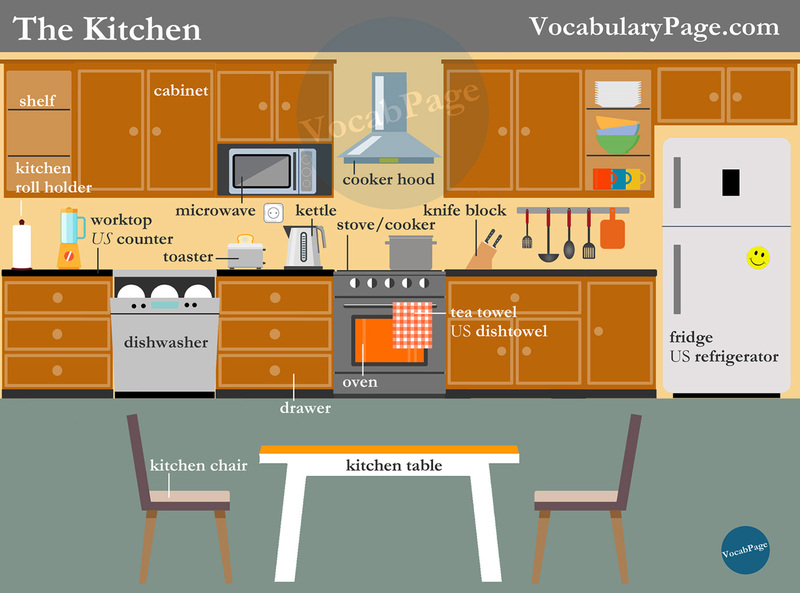 I spent some time organizing the kitchen cupboards. He chopped onions in a food processor. I put the bottle back in the fridge. Steam rose from the kettle. Put the eggs and sugar into the bowl of a stand mixer. Take the rolling pin and roll out the dough thinly. I boiled the water in a saucepan. Pour sauce through a fine sieve into a bowl. How did you open it without a can opener? I put two slices of bread into the toaster. Dice the carrots on the cutting board. Using a whisk, beat the egg white.